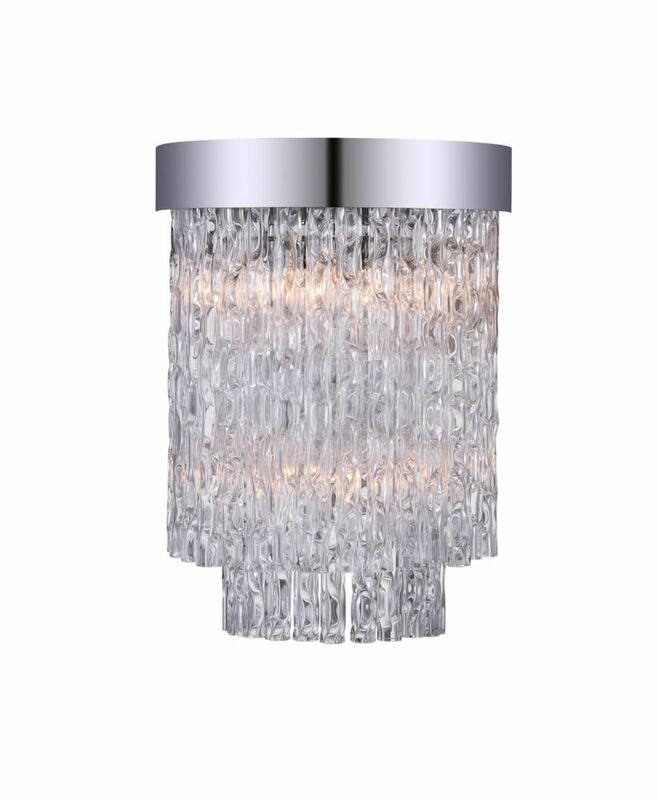 This breathtaking 2 Light Wall Sconce with Chrome Finish is a beautiful piece from our Carlotta Collection. With its sophisticated beauty and stunning details, it is sure to add the perfect touch to your dicor. This breathtaking 2 Light Wall Sconce with Satin Nickel Finish is a beautiful piece from our Paulie Collection. With its sophisticated beauty and stunning details, it is sure to add the perfect touch to your dicor. From basement flats to skyline apartments, the industrial luxe decor trend continues to be a must-have for your space and the stylish design of the Belmont 2-Light Swing Arm Wall Sconce is the perfect accessory. It's not just the ultra-functional double swing arm that makes it perfect - each shade tilts and revolves so the light can be pointed in various directions. The matte black finish is expertly accessorized with antique brass accents and is a knock-out against an exposed brick wall. This is a contemporary wall sconce that can be used throughout the entire home. It features an brushed nickel finish with white glass shade. The light can be mounted up or down depending on your styling and light output needs. The Wall-Mount Outdoor Bronze LED Decorative Light from Lithonia Lighting includes integrated LEDs, so no bulbs are required. It is easy to mount and comes fully casketed for outdoor installation. The modern design is ideal for applications where extra style is needed. Carlotta 8-inch 2 Light Wall Sconce with Chrome Finish This breathtaking 2 Light Wall Sconce with Chrome Finish is a beautiful piece from our Carlotta Collection. With its sophisticated beauty and stunning details, it is sure to add the perfect touch to your dicor.